N.K Industries Is A Leading Manufacturer And Supplier Of Steriling Seriies Of Round Bottle Labeling Machine Which Machine Can Do Partial Wrap, Full Wrap Labeling On Round Shaped Bottle And Can Deliver Output Of 120 Bottles Per Minute Depending Upon The Bottle Diameter. High Production Speed up to 120 Bottle/min depends upon the type of container. Equipped with special wrap around mechanism to wrap the label on bottle. Special Reel Mechanism to hand the Roll. Break assembly to avoid variation during releasing of Roll thus result into accurate Label Dispensing. Up to 120 Vials / min. 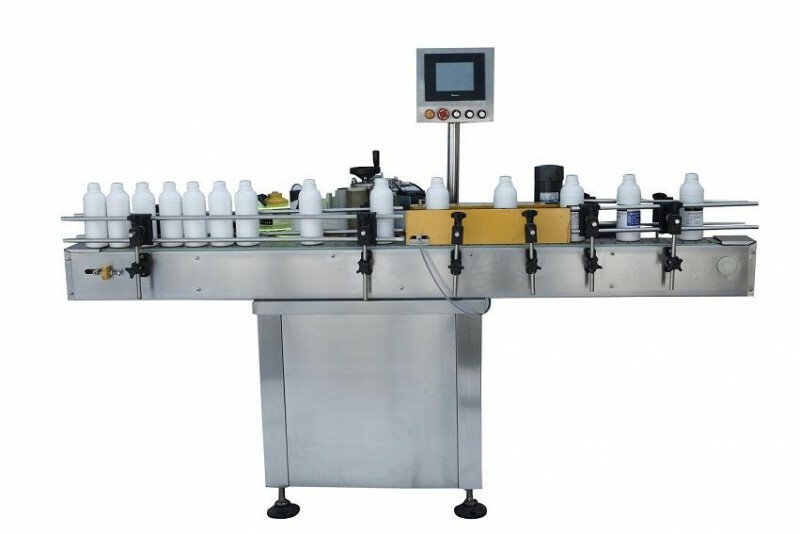 NKSAL -120B, Automatic Round Bottle labeling machine is used for labeling of round container which are previously filled and sealed.